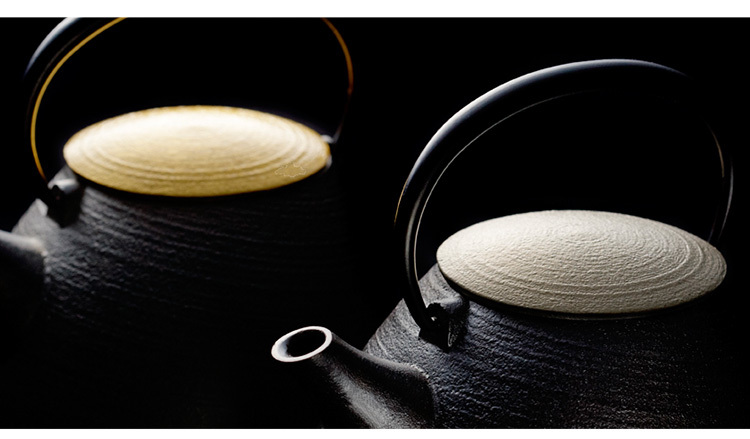 Transforming Japan's Traditional Craft into a Global Brand! Shape that is created for its basic functions has its own beauty, and brings even more enjoyment to your life. 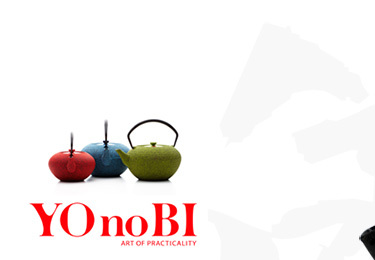 Materials indigenous to our climate; their power of wisdom and skills carried over from the past; new designs entered from all parts of the world and the traditional crafts from various parts of Japan jointly come together - that is YOnoBI, or the beauty in practicality. 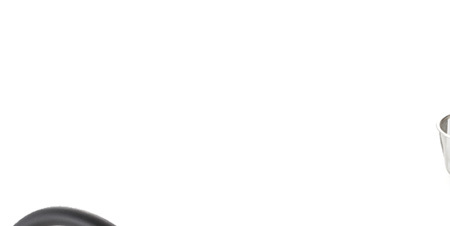 This is a global project to create a brand for a system, which develops next generation products. 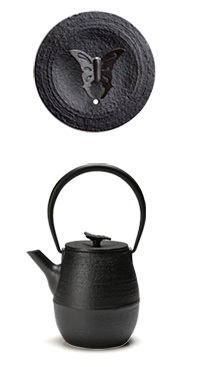 YOnoBI offers a wide range of products collaborating with a variety of Japanese traditional crafts such as ceramic, lacquer, metal, textile, paper and wood. Feel the warmth of handmade cradt and its authentic presence. 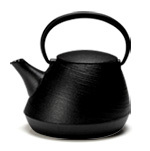 The Takaoka casting teapots are designed by Yukio Hashimoto. 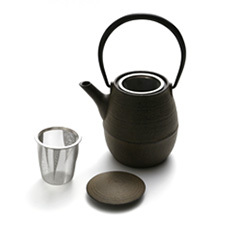 Hashimoto is one of the leading figures in modern design. His recent work can be seen at The Peninsula Tokyo for space design. Its stylish and modern shape resembles kabuto, an ancient helmet of samurai warriors. It is silicone coated on the inside to prevent rust from gathering. 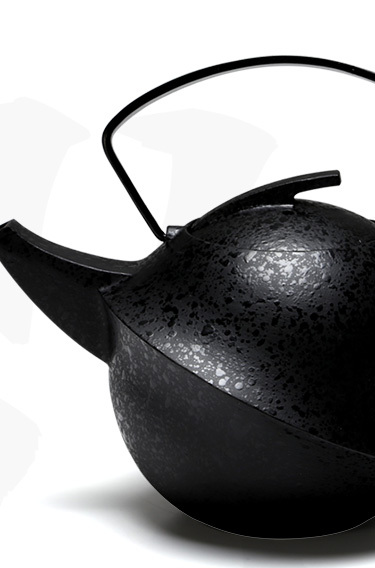 Silicone coated ironware is beneficial for iron consumption. Can be used as a liquor container. Yukio Hashimoto (1962-) joined Super Potato in 1986 and founded Yukio Hashimoto Design Studio. He won various awards, such as Japanese Society of Commercial Space Designers Award. His works can be seen at Daidaiya Ginza restaurant, Ushiospax Tokyo branch office, Beams House boutique, Oto Oto restaurant and many more. 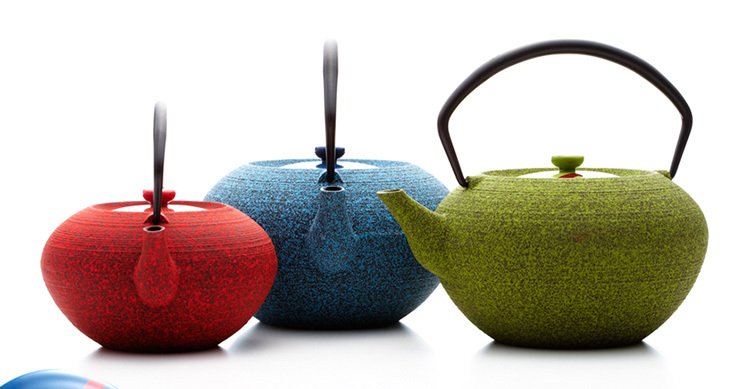 Their new Yamagata casting iron teapots are charmingly colorful. The pots, designed by Hisanori Masuda, are carefully finished with acrylic baking paint to give them an extremely sensitive look. This isn't all, though. 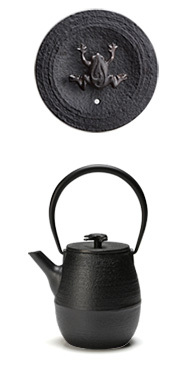 Each pot comes with a porcelain top. 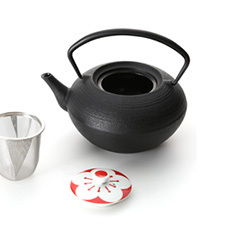 The pattern on each top, designed by KIRIKO, is a perfect yet unique complement to the pot. The strainer reached deep towards the bottom thanks to its low and flat shape, so serving rather small amount of tea isn't problem. The inside is enamel coated to prevent rust. 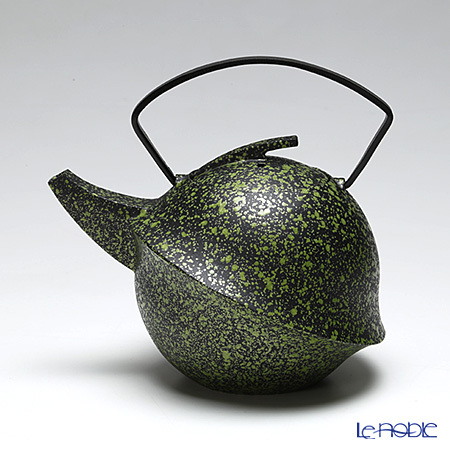 A unique Yamagata casting teapot crafted by Hisanori Masuda. A series of small creatures of the garden is modeled on top of the lid. Animals are designed by KIRIKO and the rest by Masuda. There are three animals, butterfly, frog and bee in two colors, ebony and dark brown. 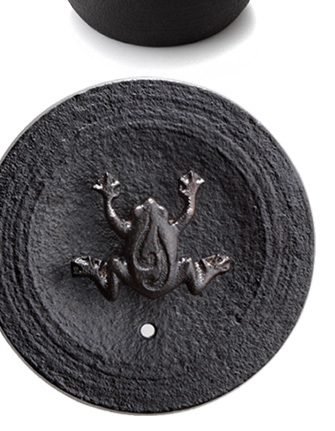 Such creatures have always been a popular motif for Japanese craft, but it is rather rare to find them on top of such a lid. 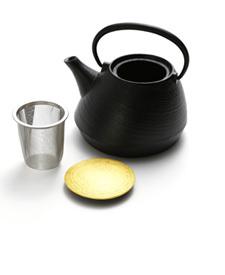 It is finished with the Urushi laquer on the outside for delicate and elegant look and it is enamel coated on the inside to prevent rust from gathering. Can be used as a liquor container. 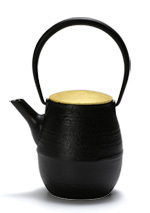 A yamagata casting teapot designed and crafted by Hisanori Masuda. 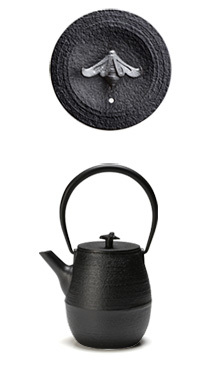 Yamagata is one of the largest production regions of casting iron tableware and produces most kettles for tea ceremonies. It is modern, and the form is refined. 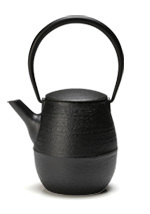 The fine Urushi lacquer finish makes the presence of this pot very unique. 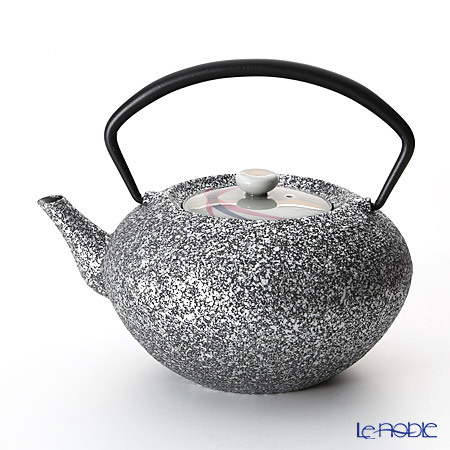 It comes in three colors, dark brown, yellow and ebony. It is enamel coated on the inside to prevent rust from gathering. Can be used as a liquor container. 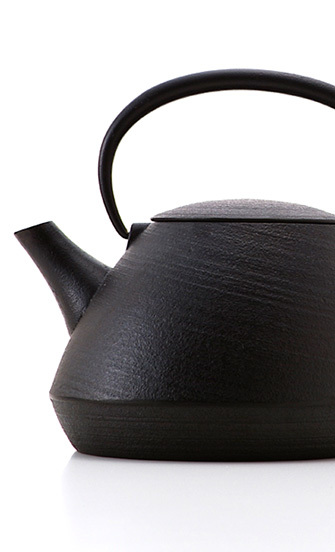 A yamagata casting teapot designed and crafted by Hisanori Masuda. 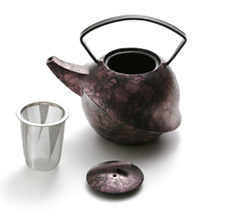 Yamagata is one of the largest production regions of casting iron tableware and produces most kettles for tea ceremonies. The form is beautiful like the fruit of the jujube. 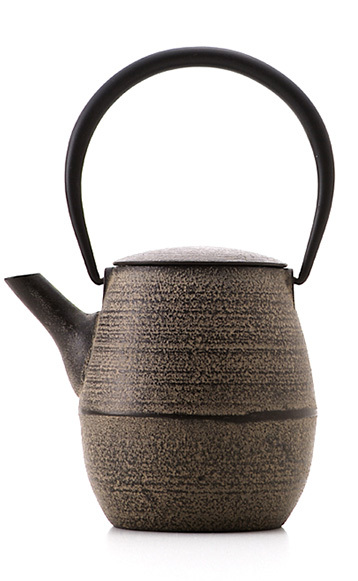 The fine Urushi lacquer finish makes the presence of this pot very unique. It comes in three colors, dark brown, yellow and ebony. It is enamel coated on the inside to prevent rust from gathering. can be used as a liquor container. 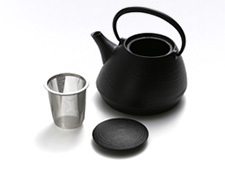 A yamagata casting teapot designed and crafted by Hisanori Masuda. 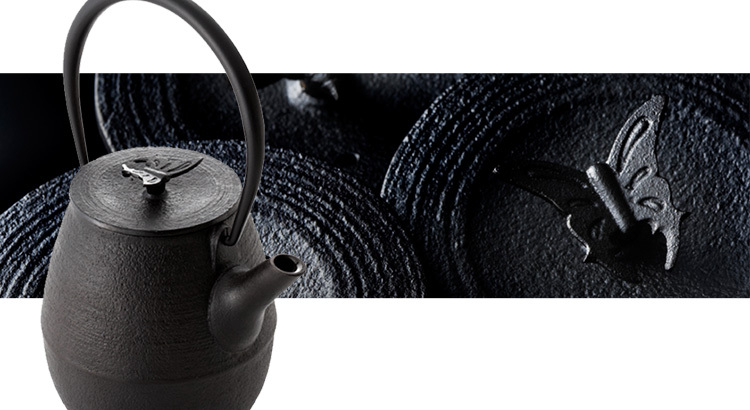 Yamagata is one of the largest production regions of casting iron tableware and produces most kettles for tea ceremonies. The boyd is finished with Urushi lacquer while the lid is gracefully done with Kanazawametal leaf. 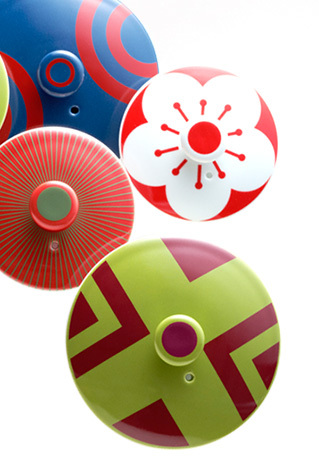 The entire pot is enamel coated on the inside prevent rust from gathering. 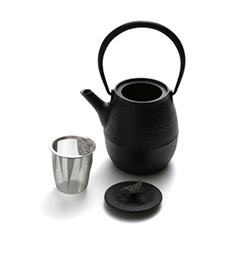 Can be used as a liquor container.A yamagata casting teapot designed and crafted by Hisanori Masuda. 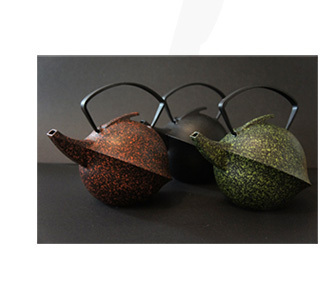 Yamagata is one of the largest production regions of casting iron tableware and produces most kettles for tea ceremonies. 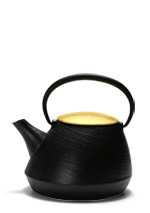 The boyd is finished with Urushi lacquer while the lid is gracefully done with Kanazawametal leaf. The entire pot is enamel coated on the inside prevent rust from gathering. Can be used as a liquor container.